1.This is I think my favorite film image of mentoring (although, who knows, maybe Dear Zindagi will beat it!). I like the way he wants them all to be the best and do it on their own, but is still willing to protect their backs when he needs to. 2. Of course, you can also be a Guru and still be the same age as your students (or even younger!). And you can also be a Guru and be Aamir Khan instead of Shahrukh. 3. And you can be a Guru and maybe possibly also have a romantic relationship with your student. 5. This is another romance that somehow ended up getting mixed up in the Guru-student dynamic. But in this case, it’s the Guru who falls for the student! 6. 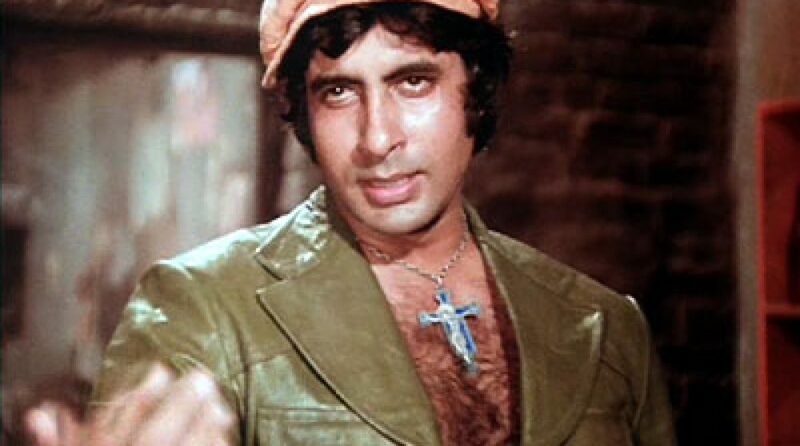 Of course, Amitabh is the Guru of us all. 6. But for me, it’s all about Shahrukh. Teaching me how to live my life. This entry was posted in Videos and tagged 3 Idiots, Chak De India, Guru Purnima, Happy New Year, Jhoom Barabar Jhoom, Kal Ho Na Ho, Kerala, Malayalam, Mili, Non-Hindi, Premam, Videos by mredlich21. Bookmark the permalink. Looking at your photo for this post on the main page, I thought you were just using Guru Purnima as an excuse to wax eloquent on SRK once more. 🙂 But how can you talk about teacher roles and not include Mohabbatein for SRK? I liked his performance in that more than in KHNH.I haven’t seen HNY, but from all reports, your inclusion of it seems to be pure indulgence. 🙂 For Aamir I think TZP is a far superior film and role than 3 Idiots. It’s also the last “good” film from Aamir IMO. I thought about Mohabbatein, but I didn’t want to overwhelm with SRK, and personally, I like him in KHNH better than Mohabbatein. Totally forgot about TZP! But even if I remembered it, I still probably would have gone with 3 Idiots, because, again, I just like 3 Idiots better. Happy New Year I really wanted to include, because what’s cool to me is that Deepika, the young female bar dancer, is the “Guru” for all these guys, bossing them around and encouraging them. I forgot Nargis in Shree 420! The cool thing is, she is both officially a teacher, and she also serves to teach Raj Kapoor how to be a better person.